Located in the resort style community of Lucaya Lake Club, this 3 bedroom, 2 bathroom house is the perfect place to call home. The open floor plan is wonderful for entertaining guests as it unites the kitchen, dining, and living room. The kitchen is complete with stainless steel appliances, gas range, and granite counter tops. You can also enjoy relaxing outside on the paved patio. The spacious master bedroom and bath gives you 2 walk in closets, dual sinks, and a large walk in shower. The Community features a 78 acre lake with a floating dock and boat ramp for canoeing, kayaking, paddle boarding, or just enjoying the beautiful view. The community also has a club house, fitness center, splash park, playground, swimming pool, and walking trails. You have to see this for yourself! You will feel like you are at a 5 star resort. 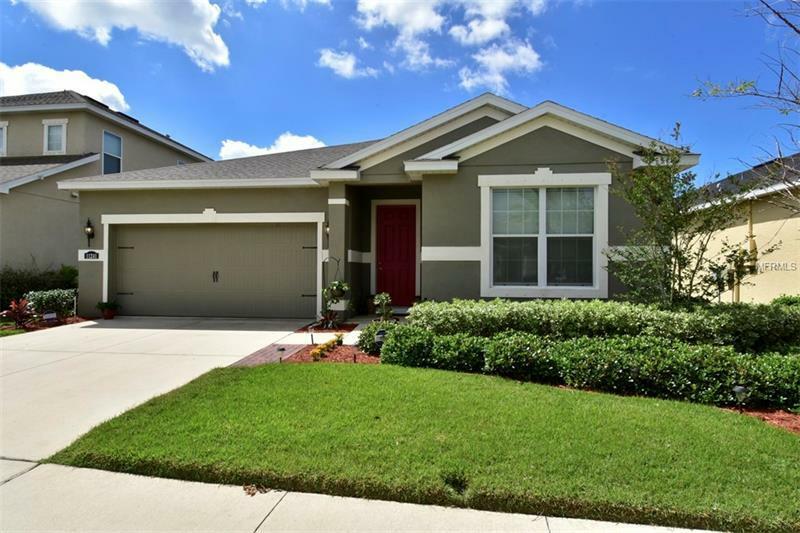 This home is located minutes to HWY 301 and I-75, where you will have easy access to a wide variety of restaurants, recreation spots, golf courses, and more. Riverview is centrally located to Tampa, St. Petersburg, and Sarasota, making Tampa Bays Gulf beaches, amazing fishing waters, and many other attractions so close to home.